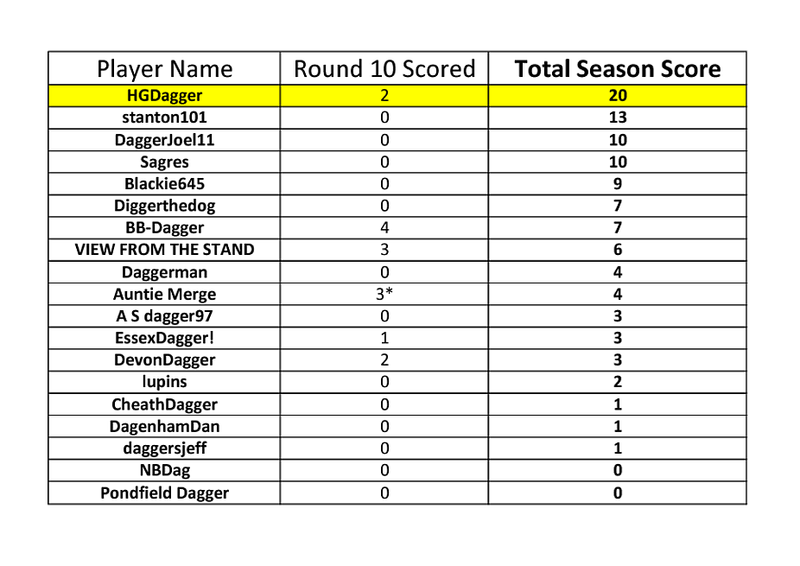 Clear daylight at the top now, HGDagger extends the lead as the chasing pack slip up. Bitter sweet for DaggerJoel whose 0-0 prediction almost came through with the full 5 points but dropped to none at all with Romain's late goal. I'm sure you'll get over it pretty quickly! *Auntie Merge has been given an extra point as I miscalculated the previous round.